LED display trailers manufacturer in the USA. We made over 164 LED display trailers. we are starting activities on the US market. Mobile LED screen is a perfect choice when you frequently set up your screen in different locations. It saves hours of labour before every event likewise it is the most cost-effective option available. LED display trailer and fixed screen comparison. Regular LED display is temporarily installed on a truss. You need to carefully assemble every LED panel to build your screen. It generates additional costs due to an increased amount of work. In contrast, mobile LED screen is easy to use and can be unfolded many times a day. It is already built out on a frame. The entire structure is mounted on the trailer. Equipped with hydraulic lifting and rotation. Mounted on a truss. Requires careful preparation prior to installation. You need a team of trained technicians to prepare the screen to work. Needs to be loaded and unloaded. Thanks to LED display trailer you need fewer people to prepare and maintain the screen. Most noteworthy you can offer better rates for your clients. 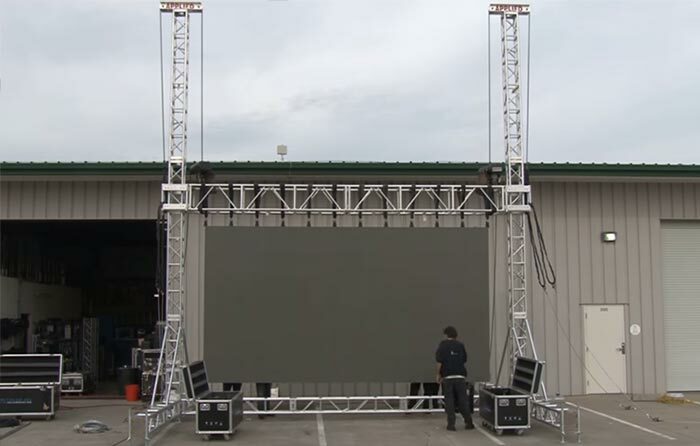 If you already have many events scheduled, mobile LED screen is a win-win solution. * Depends on a number of events per year and trailer type. We offer two types of trailers for the US market. 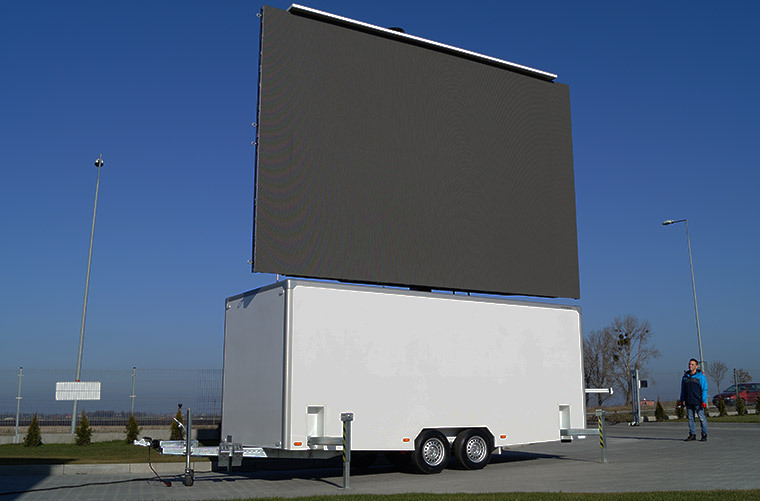 Open LED screen trailer – PlatformLED likewise enclosed display trailer – MobiLED. Both offer unmatched mobility and flexibility. All these features translate to a lower rental cost for your customers. Hydraulic lifting and 360 degrees rotation come as standard. Most noteworthy, you can set up your screen in any given position. Lightweight construction is certainly one of the key advantages. Trailers are US DOT approved. All trailers are fully approved for the American roads. Comes with all paperwork necessary for registration. See LED display trailers at the fair. Visit us at InfoComm fair in Orlando, FL on June 12-14, 2019! You can find us at booth 327 in exhibit hall – West Level 2. After 11 years on European market we started expansion to the USA market. Experience sets us apart from the competition. Our mobile led screens can be found in many places around the world. At the beginning, the company was involved in the installation of fixed LED screens. We had 3 LED screens near the company and we began to multiply their number throughout the country. In 2011 the number of fixed screens began to exceed 30. We have produced our first mobile LED screen. Then we have started to export it worldwide. In this year we received CE and TUV Rheinland certificates. 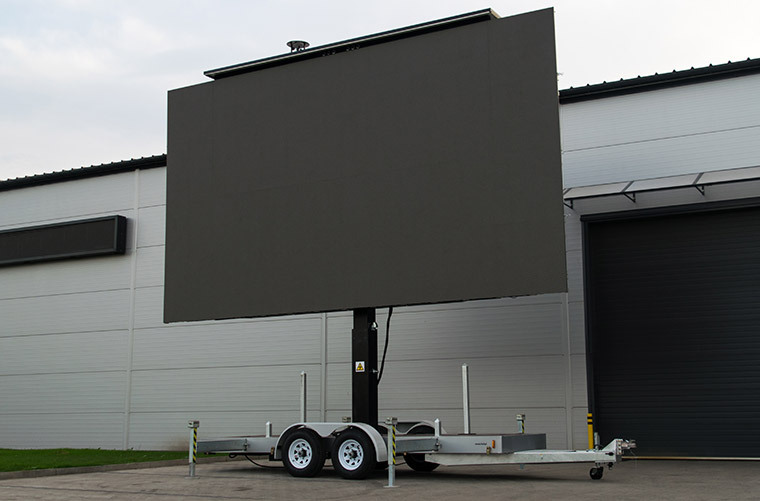 During the first year of producing mobile LED screens, we sold 15 of them. He was created first ContainerLED solution. 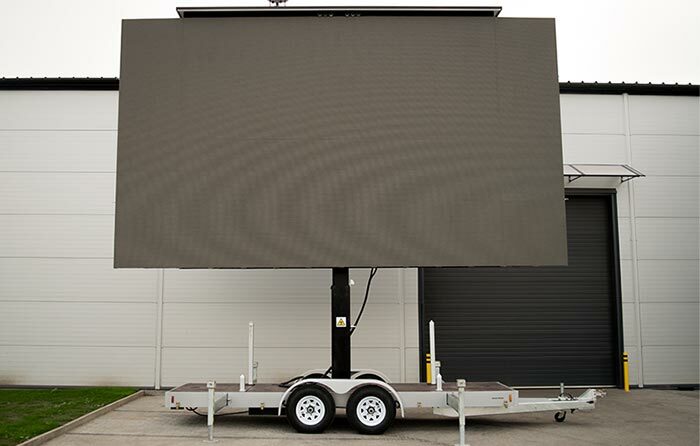 Over 30 produced mobile LED screens. An increasing number of orders forced us to start building a new headquarters. Moving to a new headquarters. Over 145 produced mobile LED screens. Expansion to the American market. Companies that have bought a LED display trailers or cooperate with us.